BMO narrates "The Great Gum War" in which Finn, Jake, Marceline, PB and the Candy Kingdom go to war against Gumbald and his army that will determine the fate of Ooo once and for all. The Ice King asks Marcelline the Vampire Queen to help him write a song. Susan drops a big surprise on Finn and questions about his past are answered. How many episodes of Adventure Time have you seen? Q: Which one is Finn and which one is Jake? Q: Who are Finn and Jake? 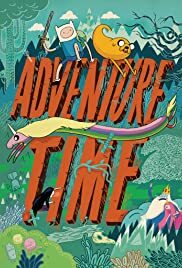 Q: When does Adventure Time take place? First of all I really don't like cartoon network... or at least when they keep on showing stupid kid shows. 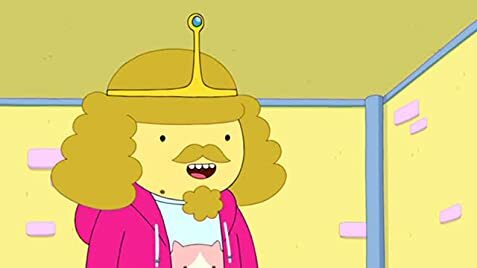 This is what makes Adventure Time so special is that it is pretending to be a kid's show in appearance but in reality it is quite mature and isn't really for kids. All of the episodes I have seen are funny except for one. The characters are all likable and there seems to be a dark side to every character. Finn is the main character and is the ONLY human in the entire show. There are hints that this is the far future, and humanity was destroyed (you see destroyed cities under water, or a river of garbage). Finn is tries his best at being a good hero, but sometimes they he seems to hurt some innocent people. Jake is his side kick dog who is really great because his voice is perfect, and he is just laid back and relaxed. Princess Bubblegum is the good princess who Finn likes, and she is super smart and is ruler of the candy kingdom. She seems to have a dark side that appears every once in a while. The Ice King is a common protagonist. It bothers me that everyone hates him, and kind of attacks him for no reason. It is often seen that he steals princesses because he only wants to be happy, and basically the reason he does anything is because he is so lonely. Some people may not like this show for its very smooth animation style. The animation is a bit cheap but it is sort of based off of video games and some Japanese animation. It is important to realize this show is trying to be weird. Some people do not appreciate its random and off the wall humor. Like where Finn is offered to run with wolves, so him and his vampire friend start running on all fours chasing wolves at night, and they start to look really scary and foam at the mouth. Finn starts biting the wolves and fighting them, and a whole bunch of random stuff. This entire scene is only about 30 seconds long and seems out of the blue. What makes this show great is also how something insanely funny will happen but it goes by so fast you won't notice it. Like when a friendly Peppermint candy does Jake and Finn a favor, and later he says "Well now I want your skin!" and Jake and Finn laugh at his joke and then he says "I will rip it off of you while you're asleep" and he gives a demonic smile. Their smiles fade quickly. Every episode has a funny ending which always makes you leave even a boring episode on a high note. 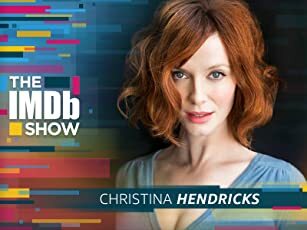 I cannot wait to see more of this show since I have seen every episode and it is a great show. Do not judge this show from only one or two episodes. Watch a lot of them and you will realize how great it is. 59 of 81 people found this review helpful. Was this review helpful to you?